OK, before anyone says that I’m way behind – I know….I was actually meant to write up this post in March but couldn’t find the photos for it and only today did I find them in a separate folder! I’ve read a lot about this phone and many people don’t seem to like the design of it calling it ‘plasticky’ and ‘tacky’ but I really like it. Personally out of all the colours the white one is the prettiest, it has a clean, lovely finish with a complimenting chrome effect on the edges which give it a high-end look. The faux-leather back is talked about a lot too and not in a good way but I really like it, you get extra grip but the downside to it is that it could get marked/dirty quite quickly and you wouldn’t be able to wipe it as opposed to a smooth plastic back. It is a big phone – yes! However for us bloggers we do need a screen this size so we can easily blog on the go, keep up to date with social media, browse our favourite stores and see what other bloggers are writing about too. If you travel a lot then the screen size will benefit you as you can watch films and play games comfortably – with a screen this size and the resolution it means all the colours are extremely vibrant and the detail is just absolutely beautiful. The camera is the main point for me, if I can take good pictures with my phone and use them for blogging, instagram and twitter then I’m happy and the Samsung Galaxy Note 3 has a lovely 13 megapixel camera. As you can see in the pictures above when taking a photo everything looks really beautiful, crisp and clear plus there’s SO many options to edit your photos from night mode, sport mode, macro – the list is endless! When uploading my photos to Instagram I did find that they had a slightly pixel-y look to them and I have no idea why that happened. In regards to the modes you can choose from that’s one major thing missing from the iPhone which Samsung has covered quite nicely. Ah, this is my favourite part haha! I absolutely love the S-pen and really hope that all phones will have this feature one day as it really does give you more control over things and allows you to become more creative with pictures, maps etc. For us bloggers I would say that it’s a must-have….you can use your S-pen to screenshot a page, circle out things from stores, add more detail to maps, create scrapbooks and have fun with editing pictures. There’s so many wonderful options that I wouldn’t actually be able to write them all down in this post! 🙂 and you can really create some lovely things. We all know how horrendous the battery life is on the iPhone and I was actually pleasantly surprised at how AMAZING the battery life on the Note 3 is! I charged the phone on the first day I go it and used it all day for emails, tweeting, pictures, gaming – I had battery saving mode switched OFF, Wifi switched ON and with heavy use it lasted me a full day, full night and the next morning I still had about 25% battery. If you use it properly and have battery saving mode ON then I think this will easily last you 2 days without a charge and that’s a huge bonus for people on the go. 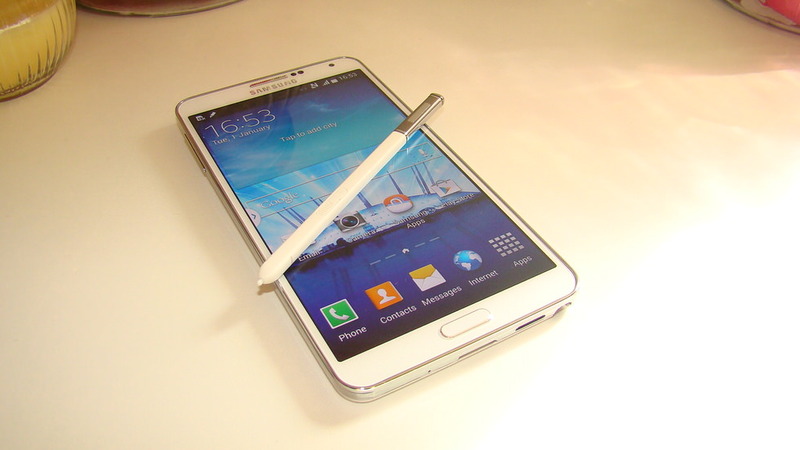 You need a phone to keep up with you and the Note 3 really does! So overall, I really like the phone and if I was to give it a score out 10 it would be 7.5 / 8 and that’s only for the virus and the fact I couldn’t FaceTime…. The battery life is one of the main plus points and if you’re like me and on the go you need a phone that can keep up with a busy schedule and your life. After a few days of using the phone I kept getting pop-ups saying the phone has 2 viruses so I went back to o2 (UK provider) and asked them for help who in turn said they have never seen these specific viruses so I gave the phone back and stayed with my iPhone 4s (which I still have now) if I was a bit more tech-savvy and knew what to do to sort out the problem then I might have kept the phone. The other downside for me was the fact that I could no longer use FaceTime and for anyone that knows me will know that I absolutely LOVE using FaceTime so that was another huge blow for me. As mentioned I now use my iPhone 4s and after 2 years of using it I’ve NEVER had a problem with it and I think that might be something to do with Android V IOS but as mentioned I’m not tech-savvy so it could be something completely different haha! So, let me know….what do you think of this phone? Are you an Apple person like me or shifted to Android? Do you look for something specific in the phone or is it more the design? It is too bad the person at the phone store couldn’t fix your virus problem or even at Samsung. I would think they would just give you a new phone to be honest, hope you can maybe try the Note 4 as I think you will be pleased with it. I have this phone and really love it I had the Galaxy S3 prior and the S1 as well Very happy with the whole line I felt I needed something a bit bigger and that I could do more things with when I am on the go for my blog. 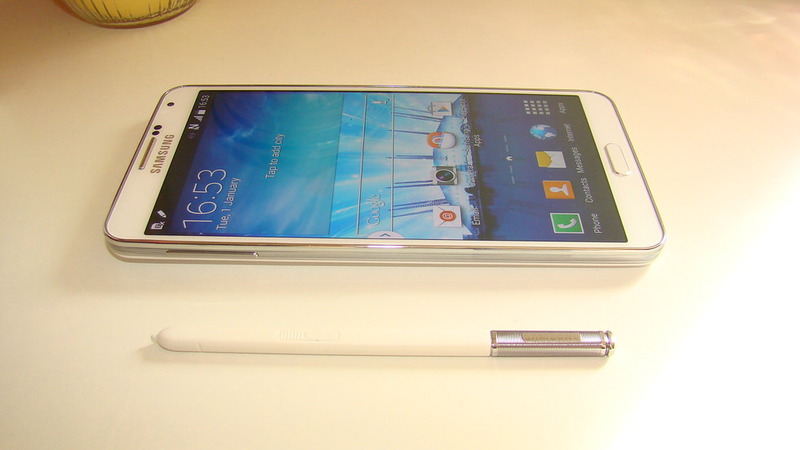 I see the 4 is coming out soon, but I will stick to my Note 3 for a while more. Great phones for sure, I don’t feel the need for an Iphone. Εχω πάρει το Samsung S4 mini… και πραγματακι μου εχει λύσει τα χερια σχεδόν για τα πάντα. Και να φανταστεις οτι ηταν απο τα πιο φτηνα στην κατηγορια του. It sounds really good! My husband has a Galaxy phone and I hate it because neither of us could really figure out how to use it properly, but I’d really like to try this little gadget! Great review of Galaxy! Thanks for sharing! So sorry but is it okay for you to delete my earlier comment? The link to my blog that I posted had a typo and was directing it to a different site. Again, sorry about this. Great post! I love the design! It’s so pretty! I have to admit I’m not a a huge fan of Apple – I use a Samsung S4 and therefore I can imagine that I would like this note 3 🙂 Thanks for the review! I love Samsung and Android system! This phone sounds awesome! I have always been an Iphone girl though, but if I were to switch I definitely think I would get a Galaxy! it sounds amazing! i love the s pen feature! i use iPhone too, but I’m excited to see both the iPhone 6 and samsung 4. My boyfriend has this phone and absolutely loves it! He has the Neo Hybrid case and it makes the phone look a bit more sleek. Wow, thanks a brilliant for this post:). I’ve always curious about this phone, somehow I want to switch my iPhone to Samsung Galaxy, you’re right as a blogger, we are need a big screen to work during the errands running:). Have a great weekend:). Thank you so much for your kind words as always:). If it’s anything like the first note you’re going to hate it once you’ve had it a year. The battery life will go down to about 3 hours and it’ll constantly crash, not load messages or contacts and just generally be a slow piece of rubbish. Sorry to put a downer on it but I was so glad when I go rid of mine!